USB-C cables began their buzz in 2015 when big-time device makers included it in such devices as the new Apple MacBook, the Nokia N1 tablet, the updated Google Chromebook Pixel, the Google Nexus 5X and Nexus 6P, the OnePlus 2 and the Microsoft Lumia 950 XL. So it's a new kind of cord — what's all the fuss? 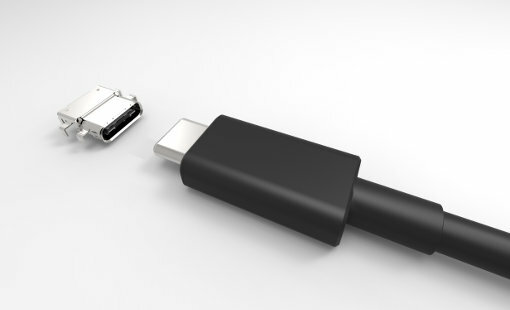 Dubbed the “one reversible cable to rule them all,” USB-C (shorthand for Universal Serial Bus (USB) Type-C) is a new compact plug and cable standard. Soon, you'll be replacing your device cords in the house, car, office and on the go with USB-C cords. Here's why. Easier to plug in, even in the dark Get ready to celebrate: A USB-C cable can be plugged in no matter which direction you turn it. You can plug it in facing up or down, just as you can a Lightning or MagSafe connector (the proprietary Apple connector that has very limited adoption outside Apple products). The USB-C connector is slightly wider, taller and thicker than the micro-USB connector, which is the current standard onboard many smartphones and tablets. Reversible Whichever cable end you pick up first, you can plug it in. Both ends of a USB-C cable have the same oval-shaped plug. One end of a standard USB cable uses a flat, rectangular Type A male connector, but USB-C cables leave that behind in favor of uniform, reversible plugs at each end. Slimmer ports for slimmer devices Take the case of Apple’s new MacBook, released in 2015, only 13.11 millimeters at the thickest point and 3.5 mm at the thinnest. One reason the MacBook can be so thin is the use of USB-C ports, which are significantly slimmer than legacy USB ports. Lenovo's thin new Yoga 900 convertible laptop also uses a USB-C port. Faster data transfer speeds USB-C plugs support USB 3.1, a level-up from USB 3.0 specifications. This latest standard doubles the speed of USB 3.0 from 5.0 Gbps to 10 Gbps, as fast as the transfer rates provided by the original Thunderbolt. You'll enjoy fast data transfer between your smartphone and laptop or computer. And since its bandwidth is wide enough for display signals to flow through, a USB-C connector can make HDMI cables obsolete. Fewer cables — that’s the idea. Works with USB 3.0 or USB 2.0 ports USB-C cables are backward-compatible with USB 3.0 and USB 2.0. You can plug your USB-C cable into a USB 3.0 or USB 2.0 port and expect it to work, although you'll need an adapter or a compatible Type A to Type C cable. Charges larger devices too USB 3.1 lets devices draw much higher power from a host — up to 2 amperes at 5 volts (consuming 10 watts) or up to 5 amperes at either 12 volts (60 watts) or 20 volts (100 watts). That's more than enough to charge your smartphones and tablets. And, since most 15-inch laptops usually use about 60 watts, USB-C’s higher power output makes it a potential replacement for clunky laptop chargers and adapters — one more cable out of the way. Their higher power output enables USB-C to power bigger-capacity external hard drives that require separate power cords; the newly announced Samsung Portable SSD T3, for instance, uses a USB-C cable. 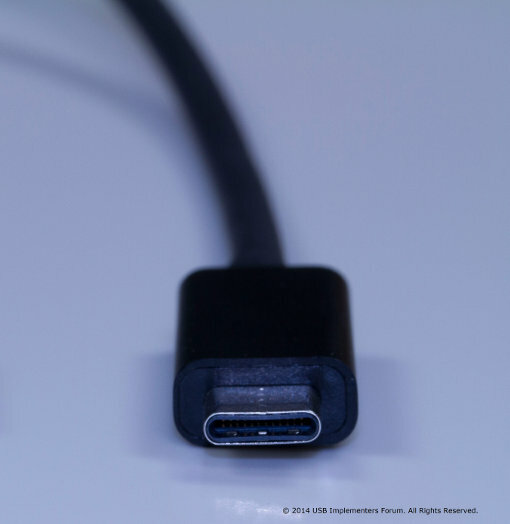 The USB-C cable has been developed by the USB Implementers Forum, a group of about 700 companies that develop, implement and promote the USB standard. Members include manufacturing bigwigs such as Apple, Dell, HP, Intel, Microsoft and Samsung, which makes newer, better specifications like USB-C easier to implement widely. With so much manufacturer support, USB-C adoption will spread quickly as device makers include it in their new releases, and you'll enjoy using one simple cable type to charge and transfer data from your smartphones, tablets and laptops.